Now that the lilacs have pretty much bitten the dust for the season, it’s time for my next favorite flower season. 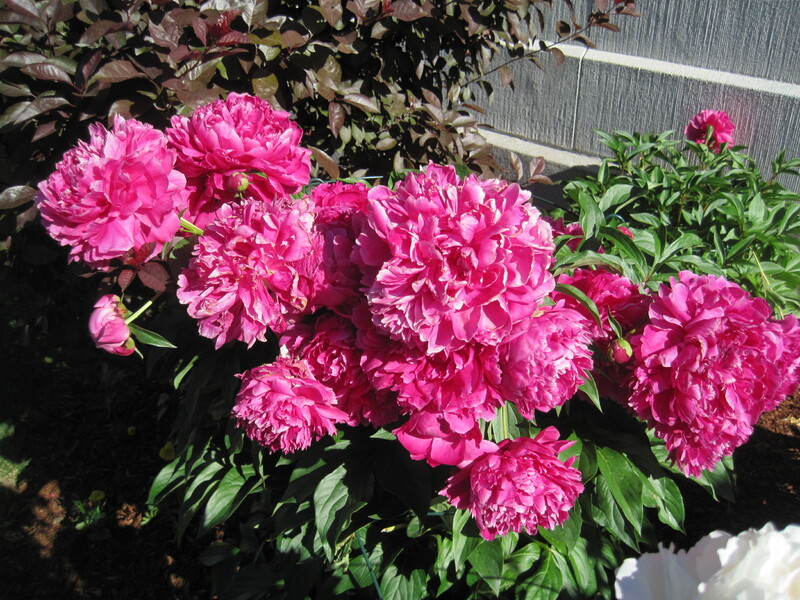 Peonies. 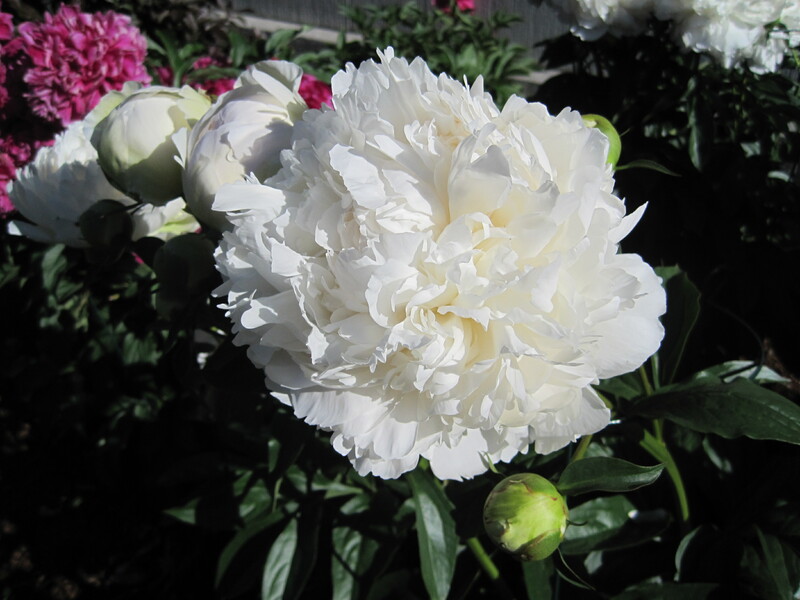 They’re big and showy, and flop to the ground in the rain when they are in full bloom, but I love them anyway. 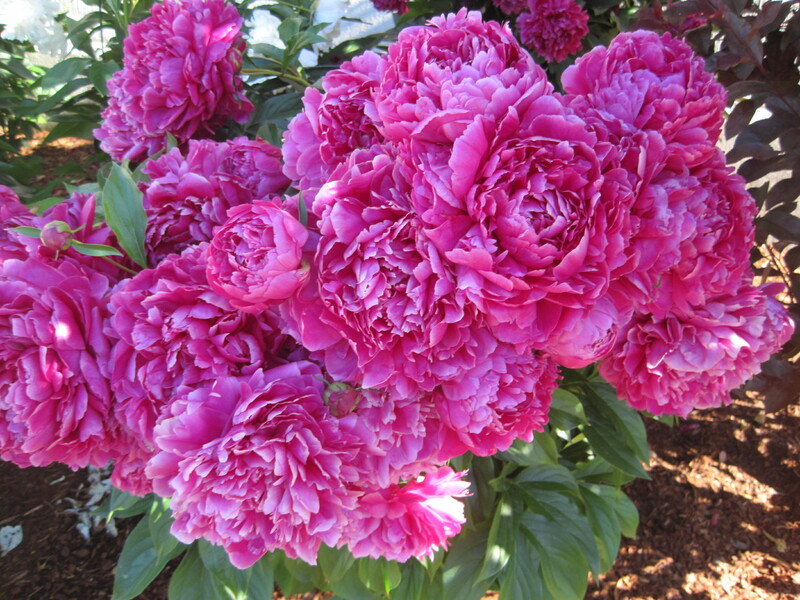 The peonies in this post are growing behind the Chittenden Superior Courthouse in Burlington, Vt. I have some that are growing in a really bad place on my property. I will transplant them eventually, but I have to figure out where. Probably behind the stone wall, in the front of the house, if that ever gets done. This entry was posted on May 29, 2010 at 10:38 am and is filed under Uncategorized. You can follow any responses to this entry through the RSS 2.0 feed. You can leave a response, or trackback from your own site.